The Minka 9253-199-PL is a Medium Wall Mount Light Fixture in the Forged Bronze Finish With Spanish Fire Piastra Glass. This light fixture is from the Lander Heights - Energy Star Collection and is Underwriters Laboratories (UL) Approved for WET or Damp Locations. 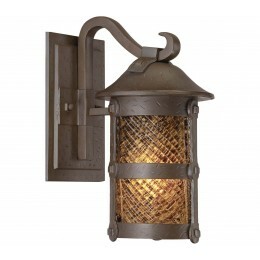 To view further details of this Minka Lavery - Great Outdoors Outdoor Light, see Light Fixture Features above. 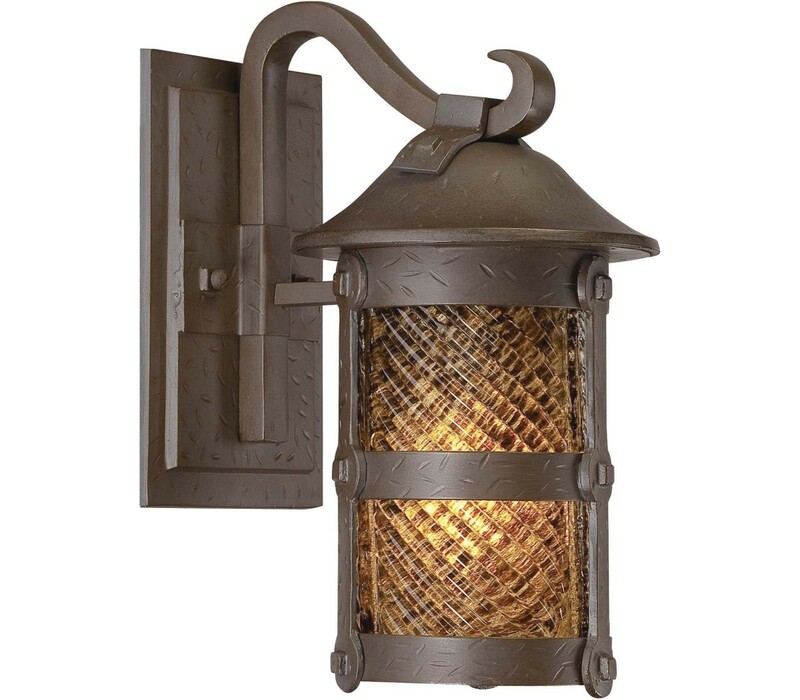 The Minka Lavery 9253-A199-PL Lander Heights collection Outdoor Wall Lighting in Forged Bronze uses Fluorescent light output and brings Rustic style. This item is 21.5"H x 11.5"W x 14.5"D. The total wattage is 26 and the voltage is 120 volts. The Minka Lavery 9253-A199-PL requires 1 bulb (included). Additional Information: Shade-Spanish Fire Piastra Glass.